That got me thinking. What about the people that have absolutely nowhere to start? I was lucky enough to know a few people that guided me along on my journey, but not everyone is so lucky. I’ve compiled a few ‘need-to-knows’ for the new hunter. not have to memorize the entire booklet, but it is your responsibility as a hunter to know the laws you are to follow. Hunting is conservation, but without structure, protection of the animals and eco-system would be next to impossible. Next step is to look into your home state’s laws and determine if you need to take a Hunter Safety course. Taking this course will not only teach you basic hunting safety, but will also give you valuable knowledge to use in the field. If you opt to take the classroom style course, you will have an opportunity to meet other hunters, new and experienced. Your course instructors are also excellent sources of information. They are appointed instructors for a reason, and their knowledge and tips are like pots of gold, all you have to do is take the time to be polite and ask for help. If you have never handled a weapon before, be sure to find a course that offers live shooting, or head to a local shooting range and ask for a lesson or two to start out, which leads me to my next point. I cannot stress enough how important it is to be confident with your weapon. You can excel in every aspect of hunting, but if you cannot drill a target with the tool intended to quickly and humanely end the life of game in the field, you’re wasting your time and doing a disservice to nature. Nothing will ruin hunting for a person as quickly as injuring an animal and watching it suffer, or worse, not knowing how badly you injured it when it disappears into the woods. I will tell you now, no matter how hard you try and how amazing you may think you are, there will be a day when you injure an animal. It is not something you will ever be prepared for, but you can prevent the likelihood of it happening by putting the work in, and therefore, respecting the wildlife. If you spend the time with your weapon, you will know your range of accuracy and better understand taking lethal shots, ensuring a quick and humane harvest. a few animals to get it down, but once you do, you won’t hesitate one extra second to preserve the meat the animal has provided for your nourishment. The sooner you are able to gut the animal, the less likely the meat is to spoil. Having a sharp knife is an absolute requirement, and will make the process a lot easier, getting the meat somewhere cool and safe that much quicker. 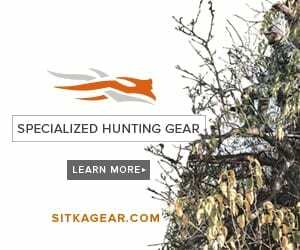 There are sets such as the Outdoor Edge® SwingBlade-Pak™ & SwingBlaze-Pak™ that include two blade types, a skinning blade that swings to reveal a gut blade, and the pack includes a bone saw as well. Another popular skinning blade is the Havalon, an ultra-sharp surgical blade ideal for making precision cuts. The Havalon knives offer replacement blades that are easy to switch out, so you don’t have to worry about dulling the knife during the skinning process. There are many different options for tools, but these are my two suggestions. If you can drag your animal to your vehicle, the easiest way to handle it is to gut it and load it up, leaving the hard work for the butcher. However, if you are hiking in and fill your tag, I recommend buying Alaska Game Bags. They will protect your meat from dirt and other hazards, such as insects, that could sour your meat and render it inedible. Again, refer to the above YouTube link to view videos that include in depth field dressing. Is this all there is to hunting? Absolutely not. Is it a good place to start? Definitely. If you are dedicated and respectful, you will be an excellent hunter. Finding “other hunters” is easier than ever with social media, and I hope you won’t hesitate to reach out to someone in the community to help you start putting meat in your freezer.